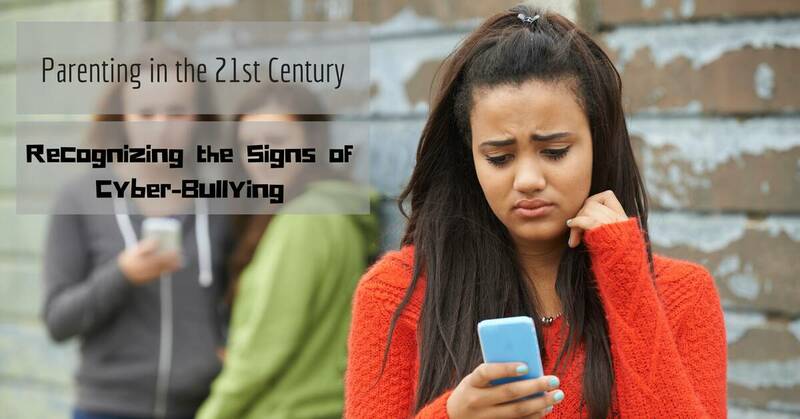 A generation ago, bullying seemed to occur primarily on the playground, but in the 21st century, this intimidating and unacceptable behavior is as likely to come through a digital device as on the swing set. Cyber-bullying may take place in the online world, but it is no less damaging than its real-world equivalent. In fact, cyber-bullying often extends into the everyday lives of children, and it’s critical for 21st-century parents to be on the lookout for the early warning signs. Many parents, even tech-savvy ones, are slow to recognize the signs of cyber-bullying, and the early symptoms are often mistaken for typical teenage malaise. Growing up has always been hard, and transitioning to adulthood in the constant eye of social media can be even more intimidating. If you are concerned that your son or daughter is the victim of cyber-bullying, it’s essential to act quickly and understand what they are enduring. Cyber-bullying takes many different forms, so the early warning signs often vary widely. Some of these early warning signs may be academic: a formerly straight-A student may suddenly start getting poor grades, or a student who was enthusiastic about going to school might start making excuses to stay home. The cyber-bullying victim may skip school, or they may get into trouble by picking fights with other students or talking back to authority figures. All of these signs are troubling, and they all warrant immediate investigation. Whether the cause is cyber-bullying or something else, parents should be alarmed enough to do further research. Other signs of cyber-bullying are behavioral and often dismissed as teenagers being teenagers. Victims of cyber-bullying may lose interest in activities they once enjoyed, giving up football, or quitting their favorite sports team. They may change their eating or sleeping habits, give up their favorite foods, or skip family meals. They may stop using digital devices, close their social media accounts, break away from their online friends, or no longer post pictures or updates to their favorite sites. Parents who spot any of these common warning signs of cyber-bullying should take action right away to avoid further emotional, intellectual and physical damage to their children. Cyber-bullying can have some dire real-world implications, up to and including suicidal behavior. Time is of the essence when dealing with a cyber-bully, and it’s vital for concerned parents to enlist the help of school officials, family members and anyone else who is willing to lend a hand.